A must-visit stopover for lovers of literature and romantics, this villa, set against the stunning backdrop of Lake Lugano, offers visitors a unique trip back in time. Antonio Fogazzaro was an important Italian novelist (1842-1911). Nominated several times for a Nobel prize in literature (which he never won), he was the author of one of the most famous 19th century novels, Piccolo Mondo Antico , titled in English translations as The Patriot or as The Little World of the Past. A family saga, the book is set during a time of massive upheaval and conflict; many Italians want to throw off the yoke of occupying Austria and Italy is about to become unified and independent. However, as remarked by many critics, the book has a silent, undisputed protagonist, the landscape. A visit to Villa Fogazzaro Roi, bequeathed to FAI – the Italian National Trust – in 2009 by the Marquis Giuseppe Roi, allows visitors to relive Fogazzaro’s romantic landscape, set amidst the lake and the mountains, and rediscover that solid, elegant house, both of which are described in-depth throughout the novel. Situated on the Italian shores of Lake Lugano, the villa is a veritable ‘wunderkammer’. Apart from its exquisite architecture and breathtaking position, the villa houses many beautifully preserved antiques and memorabilia. In addition to its priceless furnishings (including those found in Fogazzaro’s bedroom), the house also contains several delightful rarities, including the desk where the novelist frenetically took notes, or the writings on the door, left as a sign of gratitude by his artist friends thanking the Fogazzaro family for their warm hospitality. The villa, with its intimate, sheltered rooms, overlooks the lake, the dock and the residence’s hanging gardens, the perfect place to take a quiet, relaxing break. Take the A9 motorway in the direction of Como, then follow the signs to Valsolda. 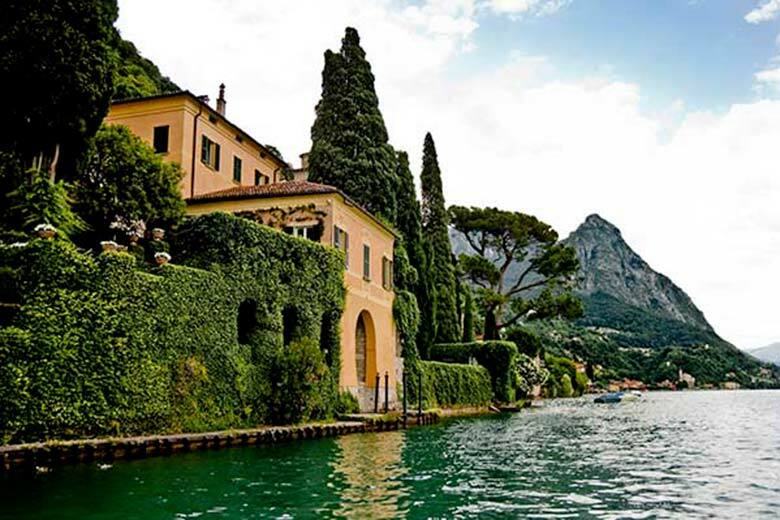 The villa can also be accessed via the lake, embarking either at Lugano or Porlezza. Guided tours are available from Wednesday to Sunday in September from 10am to 6pm. Unfortunately the villa is not easily accessible to families with strollers or individuals with disabilities.